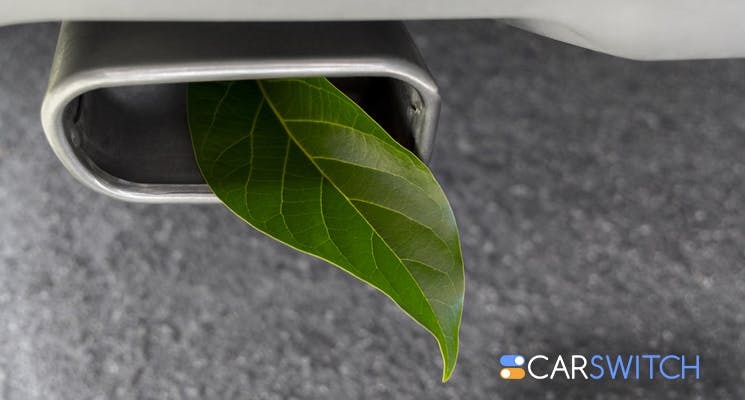 Thanks to the advancements made by the auto industry, there are numerous options available in the market if you want to reduce your carbon footprint, including hybrids¸ plug-in hybrids, hydrogen fuel-cell models, and battery-electric cars. Moreover, you can sell your car in Abu Dhabi to opt for many green options available in the conventionally fueled vehicle category. Here are some of CarSwitch.com’s picks! Starting at AED 59,466, the Honda Fit offers 36 miles per gallon and despite its impressive fuel economy; the car doesn’t sacrifice practicality as it has a lot of cargo space and provides a good driving experience. The EPA rating of 36 mpg puts it at top of its class and it is a lot better than larger cars. 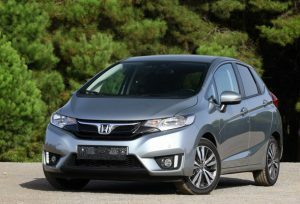 The 2019 Honda Fit also got a good safety score by federal testers and independent testers alike and received a five-star overall rating from NHTSA. Looking for a used Honda in Abu Dhabi? Check out our huge collection at CarSwitch.com today! If you want a luxury car that is fuel efficient, you can try the Audi A4 Ultra as it is classy and comfortable and has an EPA rating of 31 mpg. The standard model of the car would cost you AED 132,233. Although the Ultra doesn’t feature the Quattro all-wheel-drive system, it contains everything else that the A4 is known for. Apart from being luxurious and offering great fuel economy, the A4 is also not behind when it comes to technology and comes with features such as the company’s “Virtual Cockpit” display, Android Auto, and Apple CarPlay. 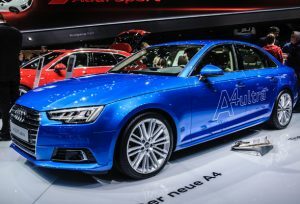 The A4 is fitted with a 2.0-liter turbocharged four-cylinder engine which offers 252 hp and 272 lb-ft. The exterior is stylish and the interior is also well designed and made with high-quality materials. Check out our used Audi cars in Abu Dhabi for some winning deals! 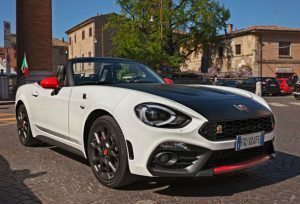 For sports car aficionados looking for some savings, the AED 91,810 Fiat 124 Spider is a great option as it offers a mileage of 30 mpg. The car comes with a 1.4-liter turbo four-cylinder engine and also features six-speed manual transmission and an optional six-speed auto. The whip also boasts of a retro bodywork that adds to its charm. 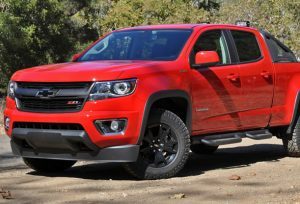 If you are looking for a truck with great fuel mileage, you can go for the Chevrolet Colorado Duramax. Colorado’s gas mode have long been leaders in fuel efficiency in the segment and the new model is no different. This gives customers more freedom to go wherever they like with fewer fill-ups. Starting at AED 137,482, this is an affordable truck and offers 23 miles per gallon. The engine of the truck features 369 pound-feet of torque and 181 horsepower which enables it to tow up to 7,700 pounds. All in all, this is a nice truck which is pleasant to drive and comes with various tech features such as a built-in Wi-Fi hotspot. Check out our pre-inspected collection of used Chevrolet in Abu Dhabi. We have plenty in stock! Tired of your old car and want to get a new one? 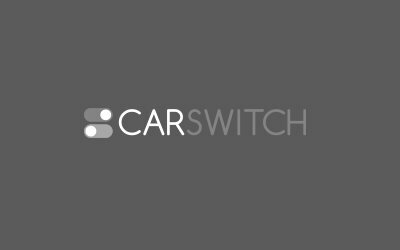 Log onto CarSwitch.com today as we cannot only help you sell your car in Abu Dhabi but also make it easier for you to buy a new one. Happy shopping! Smooth, stylish and spacious, Toyota Corolla is one of the most successful compact sedans in the. Although traveling with kids can be fun, it can also be dangerous. Drivers can get easily distracted. While you may be tempted to delay vehicle repairs, it is never recommended. Not only can. 2019 Audi A8 Finally Arrives in the UAE! Finally, the fourth generation Audi A8 has been listed as a car for sale in Abu Dhabi,.